We take a customized approach to prospective members. Working with you, we can understand the needs of your business and demonstrate the wide variety of ways Chamber programs and services can help you achieve your goals. Membership is open to any business or organization interested in increasing their presence in the St. Joseph area. After filling out this form a Chamber representative will contact to discuss all of the ways Chamber membership can meet your needs. They’ll also explain our dues structure and help you find the right mix of benefits at the highest value. If you’d like to talk with someone right away, call us at (816) 232-4461. In today’s world, working hard is not enough. You need to work smart, looking for the best opportunities to increase your visibility and maximize your chances for success. That’s where St. Joseph Chamber of Commerce fits in… membership in the Chamber will be one of the wisest investments you will ever make. When you join the Chamber, you open the door to a wealth of opportunity, benefits and services. Make it happen for your business by investing in the St. Joseph Chamber of Commerce today! At St. Joseph Chamber of Commerce, our staff of professionals is here to assist you with your business needs. Whether you are just beginning or expanding, the Chamber has the resources, contacts and knowledge to help your business and our community succeed. 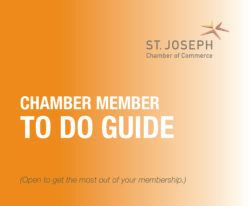 For more information on Chamber activities, download the Chamber To Do Guide here. The Chamber provides multiple forums for members to meet and establish relationships (network) with potential customers through Business Mixers, Parties on the Parkway, Chairman’s Breakfasts and more. The Chamber provides educational opportunities once a month to promote both personal and professional growth with the Lunch and Learn Series. Other educational sessions are conducted throughout the year, as well. The Chamber provides sponsorship opportunities to help grow your business’ name recognition. Sponsor an event or advertise in a Chamber publication that reaches up to 2,500 members at one time. The Chamber provides a forum for you to get involved in the business community in a positive manner by volunteering at festivities like ribbon-cutting ceremonies and community events. 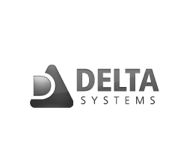 We work with local businesses to recognize both new openings and expansions. We let our member base know of these events and send out press releases to local media. The Chamber only provides referrals to member businesses. By joining, your business is listed on our website, in the Directory and in the monthly newsletter. By being a member, you are given the opportunity to participate in the annual Shop St. Joseph Holiday Program, which can grow a retail business’ sales at Christmas. By joining as a company, anyone from your organization may participate in Chamber activities. The Chamber is your business resource center, with access to market research, financial planning help, private consulting and more to assist you with the success of your business. – Carolynn Sollars, IMKO Workforce Solutions.